At the Smithsonian, our buildings host millions of visitors each year. Visitors, researchers, and staff all interact with Smithsonian Facilities, and each person, whether they know it or not, has a unique need for them to be in top operating condition. The Museum Mindfulness Project grew out of a desire for our facilities team to better partner with and educate our buildings stake holders about how important keeping the built environment clean and comfortable is to our mission and their own individual goals. After hearing about our interest in educating facility stakeholders about their personal role in the effort to keep our facilities world-class, two Smithsonian Facility Management Interns took it upon themselves to create a multi-media project that would have the ability to reach our diverse audience of building occupants. 1. 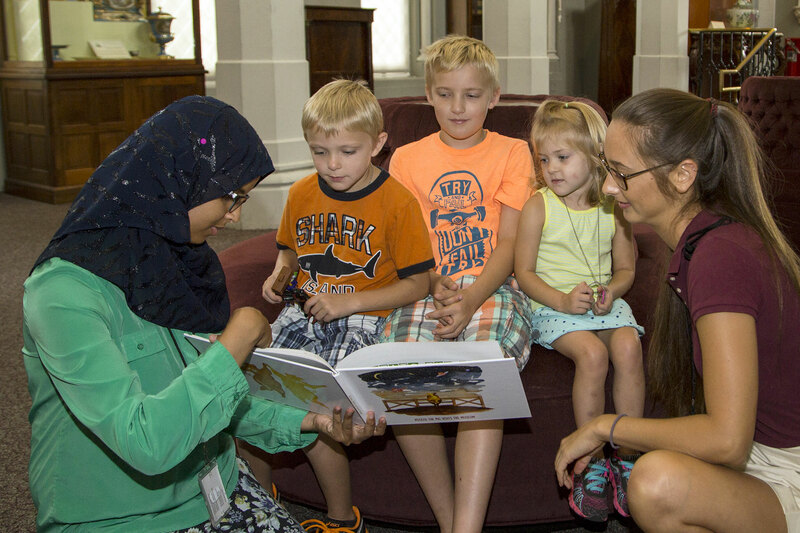 “Potato the Pig Visits the Museum” By Sarah Hamad and Yenny Martin: A Children’s book that explains proper museum etiquette at the museum through rhyme and follows a main character called “Potato” in his journey to the Smithsonian. The Rhyme focuses on common facility issues such as littering, and following directions. 2. “Don’t Offend the Dinosaur” By Yenny Martin. A short animation that shares why visitors should keep their hands and faces off glass surfaces and barriers when looking at collections at a museum. 3. “Monkeying Around at the Museum” By Yenny Martin. A short animation that follows a Monkey visiting an exhibit and disrupting an exhibit. 4. 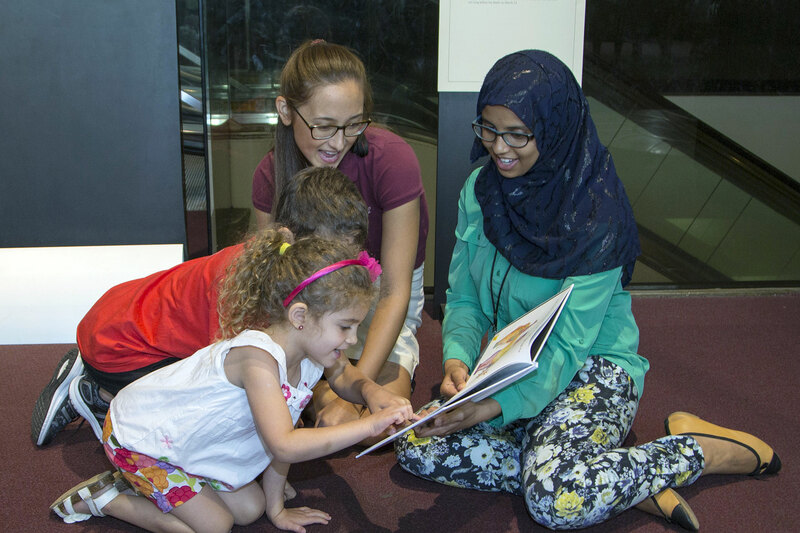 “Potato the Pig Visits the Smithsonian” By Yenny Martin. A short animation that follows the main character of the book Potato, and explores why spitting out gum onto the ground can hurt facilities. 5. “Facilities Fun for Everyone: Using Rhyme to Communicate Important Messages to Young Visitors” By Sarah Hamad. 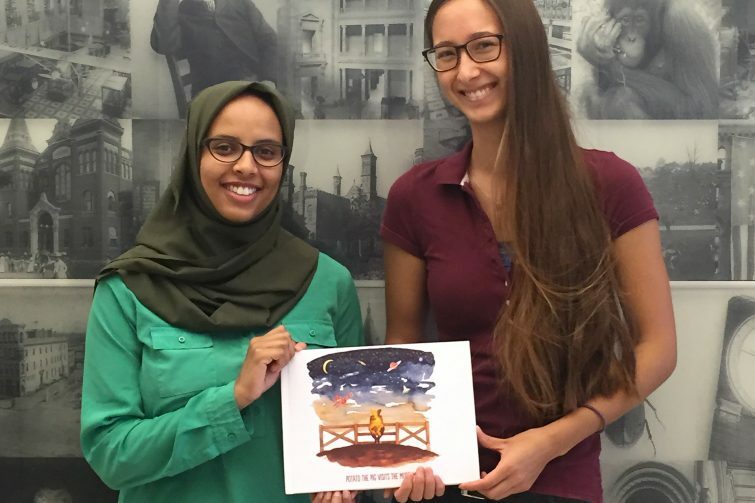 This is an article about the methodologies the students used to produce the children’s book. It is our teams’ hope that we can partner, educate, and collaborate with stake holders about the importance of their roles in making sure Smithsonian facilities are inviting places visit. 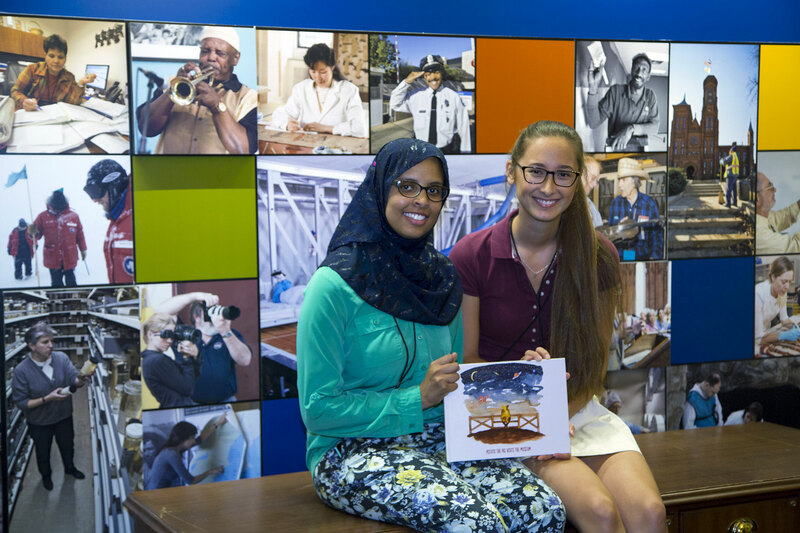 Sarah Hamad and Yenny Martin’s project greatly helps our facilities awareness message compete for attention, when primarily our visitors’ minds are focused on the excitement of coming to see our amazing museums, gardens, and research centers. Other facility teams can use simple tools like these to connect with customers in an effective and memorable. The Museum Mindfulness project was produced in eleven weeks during the summer of 2015. To learn more about the students involved, please visit the Internship Project Gallery Page. Projects such as this one can take root when Facility leaders incorporate fresh perspectives into their teams. Talented interns like Sarah and Yenny were able to communicate our message creatively while at the same time gain valuable professional experience. The Museum Mindfulness Project is a tool that we hope our facilities team and others can use to help communicate the critical partnership between facility management and the entire organization they support.